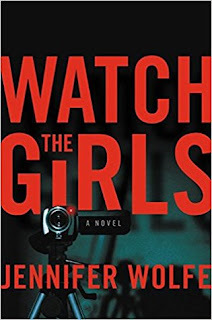 Watch the Girls by Jennifer Wolfe is a highly recommended debut mystery/thriller. Liv Hendricks used to be Olivia Hill, a child star. She left the TV show she was on after the night her sister Miranda disappeared. That night their other sister, Gemma, also a child actor, called to be rescued from a party and the two sisters went out to pick her up. Something awful happened and only two sisters remained. Gemma continued on with her career, but Olivia changed her name to Liv and dropped out for over ten years. Now she was on a farcical, derivative show based on Scooby-Doo, but has just been let go. She hears about Shot in the Dark, a crowdfunding site, and offers to investigate a mystery for the highest bidder and share her findings in a webseries. When she receives an anonymous offer of $20,000 from Red_Stranger to investigate the disappearance of four girls along Dag Road, now called the Dark Road. The donor identifies himself as filmmaker Jonas Kron, a man known for his dark, gory horror films. He lives in a California town called Stone's Throw, near the Dark Road, and filmed his movies in the area. His niece was one of the girls who disappeared. The disappearances have negatively impacted the town and its economy. Liv accepts the offer. She receives a clue when she arrives, to follow the white wolf, and her investigation begins, but then her sister Gemma shows up, and subsequently disappears, which adds a different urgency to her investigation. The writing is good. Wolfe will hold your attention and entertain you while telling the story. The narrative mostly follows Liv in the present day, but there are flashbacks to the fateful night her sister Miranda disappeared and the events that lead up to this. Not everything in the plot is completely believable. 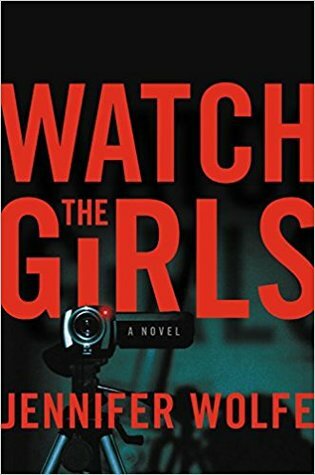 Parts of the novel are a little over-the-top, just like many Hollywood productions, and the mood can jump from humorous to disturbing quite quickly. Liv is a complicated character and well-developed. There is a reason for her excesses and her issues that comes to light at the end. Liv is really the only well-developed character, as the others are more archetypes of certain caricatures. Admittedly, I had most of the mystery figured out early on in the novel, but Wolfe also had a few surprises that I didn't see coming.